Authentic Web Solutions / Marketing / Facebook and Twitter and YouTube, Oh My! When we meet with prospective clients or new clients during the discovery process, we talk with them about how their goals for their website tie in with other areas such as email marketing, legal requirements, and social media. We believe that a website needs to be designed with the whole organization and the overall goals in mind. Often this conversation or discovery process can bring up a number of questions, particularly when it comes to social media. So with this Friday, June 30th being Social Media Day #SMDay, we thought it would be a good time to get together a few social media practitioners of various backgrounds to share their insights on some areas we typically get questions in. We are fortunate to welcome Jim David of Leapfrawg.com, Jamie Boelens of MPD Ventures, and Authentic Web Solutions’ own Becky Pearce to get their take on the issues. Check out their full bios at the end of the post. AWS: Often small businesses and nonprofits have limited resources. Why should they spend time and/or money on social media? Jim David: Social Media allows small business to compete on more of an equal playing field with larger competitors. With the exact targeting capabilities, you are not wasting advertising dollars as you usually do on broader reaching mediums. Jamie Boelens: Social media is increasingly becoming more important to reach both consumers and businesses. For small businesses and nonprofits, I think you can find key people, who want to interact with small brands, on social media. It is an ideal place to build your brand personality in order to attract those people, by letting followers know who you are and what you stand for. Unique brand personalities can be a big winner when it comes to recognition for smaller organizations. There is a good deal of flexibility with how much time and money you want to put into it as well. From using free scheduling tools all the way up to hiring a full-time social media manager, you get to choose the effort you are going to put into it. Becky Pearce: Customers want (and expect) businesses they frequent to have a social media presence. It gives the business a personality and allows customers to get to know you. It doesn’t have to take a lot of time and resources. It DOES take some thought and planning though. Don’t wing it. 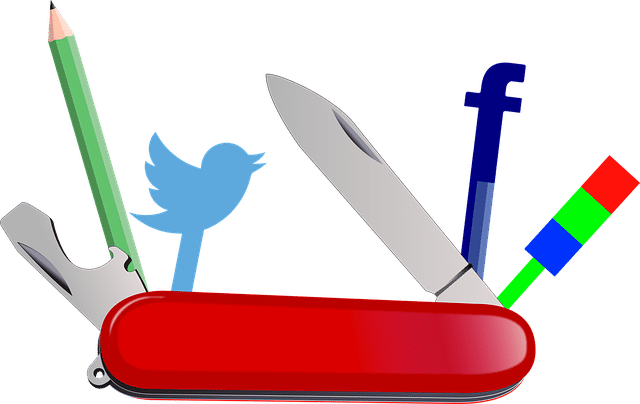 AWS: What are your favorite social media management tools? Becky Pearce: Hootsuite is a great solution because it’s easy to use, it posts to so many different platforms and even the paid versions are very reasonable. Buffer is also a great option though! Jim David: I like PostPlanner for content ideas. Hootsuite is a good tool to schedule posts on multiple channels and for listening, I use both Mention.com and BuzzSumo. Jamie Boelens: I haven’t extensively explored the different management options, but I use Hootsuite often and like the ability to schedule ahead on platforms such as Twitter and LinkedIn. I tend to be old school in my use of social media, especially automation. For individual, one-time posts, I’d rather go onto each social platform and post something unique directly to it, as opposed to scheduling out in advance. This is an area that I’d like to do more research on because there are likely many great options that I haven’t looked at yet. AWS: How do you deal with negative comments? Jim David: I have clients that have very different approaches to negative comments. For instance, a healthcare company, due to regulations may be very different than a fashion retail firm. But, in general, we try to respond quickly (in an hour or less) and resolve any issue asap. If the comment is obviously a troll, especially with profanity, we delete and ban the user from the site. Becky Pearce: Generally, I believe every comment warrants a response – positive or negative. If you or someone on your team legitimately did something wrong, apologize and admit to it and ask the customer to contact you directly to resolve the issue. If you think the customer is out of line in their comments, you have to find a balance. Apologize for their bad experience and offer a resolution. Sometimes maybe even an explanation. NEVER get defensive. It won’t help you or the customer. Occasionally, if a comment is completely off the rails, I recommend not responding. If someone is being irrational, no response is going to help the issue. Also, keep in mind that a good balance of positive and negative comments is a good thing. Jamie Boelens: Because I largely work with client accounts, I don’t usually deal directly with negative comments and feedback. We feel that those responses are best handled by our clients directly, if at all possible. Now, how I feel negative comments should be handled is a different story: respectfully, sincerely, honestly, and timely. Regardless of whether or not the negative comment is correct or respectful, it is the responsibility of whoever is running the social media to be the bigger person and handle the situation with tact as soon as they are able. AWS: What is employee social media advocacy? What are the pros and cons of trying to implement it? Jim David: Although the idea of employee social media advocacy is great, the implementation has been difficult. Employees who use social media regularly want to post their own content, not the company’s, and those who do not use social media often might be more willing to post company content but usually have a limited personal reach. Jamie Boelens: I actually had to look this one up. Employee social media advocacy is the idea of using your employees as brand ambassadors to get the word out about your organization. The pros, as mentioned in the article I looked at, are the greater reach you receive when you utilize your employees and the opportunity it presents employees to grow professionally. One of the cons I can see, also touched in the article, is the potential downside of having your employees “wear your brand” on social media. Social media posts are notorious for getting people into trouble when they are “rude, crude, and socially unacceptable.” There is always the chance that brand-related posts, coupled with the everyday posts of employees, will have negative consequences. Becky Pearce: Encouraging employees to get involved by contributing ideas for social media and/or sharing content you share to social media can be a huge boost to your social media presence. I recommend being clear about your expectations though and setting boundaries, ideally with an employee social media policy. Employee advocacy can be amazing, but it can also go south quick if you open up the floodgates all at once. AWS: What are your go-to resources to keep up on what’s new with social media? Jamie Boelens: My most utilized resource is actually my direct supervisor. Often, when she learns something new, we will look into it together to see if it will be helpful. Another resource that might be helpful is the Social Media Examiner blog. Additionally, there are several articles floating around online about thought leaders to follow on social media who will likely be good sources of information. Becky Pearce: My favorite social media blogs are Convince and Convert and Social Media Examiner. Jim David: I follow Twitter, Facebook, LinkedIn support groups directly and for a good general source I go to SocialMedia Examiner’s posts and listen to their weekly podcasts. AWS: Any tips on how to create content that gets shared? Jim David: Know the audience. It can be very different for each type of business. It may be a simple meme for one client or a very technical infographic for another. Watch your feedback and quickly you will find what resonates with your followers. Jamie Boelens: Be visual and authentic. From a follower’s perspective, posts with good visuals are more eye-catching and more interesting, as are sincere posts that really show your organization’s personality. Sincerity and personality in posts connect followers to brands on levels that they wouldn’t do otherwise, as the brand seems more human and relatable. From an organic standpoint, research what exactly the various social platforms you’re posting to are looking for (aka their algorithm), which determines how often your business page’s content is shown in followers’ news feeds. Becky Pearce: Ask questions and post a variety of different content. Most importantly, share posts that include pictures and stories about employees/staff. Customers love to see behind-the-scenes pictures or video of the people they see in your office/place of business. AWS: What’s one key piece of advice you would share with a business looking to launch or improve their social media efforts? Becky Pearce: Keep it simple. You don’t need to be everywhere at once. If your clients/customers are on Facebook and you are comfortable with that platform, go with it. Don’t go with Snapchat or Instagram or Twitter just because it’s expected or is trendy. In the end, it won’t help you. Jamie Boelens: Have a plan and don’t cut corners. Really take the time to know what you want to accomplish and how you want to accomplish it. There is too much going on in the social media realm to try to just flounder around and make it. Plan your desired personality, profile/account improvements, and editorial calendar, and phase in those changes. If you try to implement everything at once, it is easy to lose sight of your goals or leave something out that could help you later. Jim David: Try to remember that even if you have 100,000 fans, your voice should be one to one. It is ‘social’ media. And engage, answer questions, thank fans when they share your posts, if you are B2B go and LIKE, Comment, and Share the posts that your customers or potential customers post. Thanks again to Jim, Jamie, and Becky for sharing their thoughts and social media expertise! We hope that their insights will help you. If you have a marketing or business topic you would like for us to explore in future posts, let us know. We want to help YOU be successful! Becky Pearce has more than 15 years of experience in project management in both the web design and marketing fields, as well as runs her own social media and online marketing business. She provides project management, social media, and blog content planning. Jamie Boelens is the marketing coordinator for MPD Ventures Company in Dallas, TX. Jamie supports clients with social media management, content writing, and website management. She earned her undergraduate degree in communication from Texas A&M University. Jim David is CEO and Founder of Leapfrawg.com, a social media management company and teaches digital branding at SMU. He is past Department Chair of Management & Marketing at Wade College. Leapfrawg manages social media marketing for multiple businesses and organizations. Jim holds an MBA from San Francisco State University and a BBA in Marketing from Texas Tech University. He is a Board Member of Social Media Breakfast – Dallas. He is President Emeritus of the DFW American Marketing Association and Past EVP of Special Interest Groups. He serves on the Digital Imaging Advisory Council for Eastfield College and the Advisory Committee for Creatives in DFW. After working in the Financial Industry for several years in Europe and Asia he returned to the U.S. in 2001 and became a partner in the Commercial Printing Industry. He has been responsible for four start-ups himself and continues to be an advisor for several others. PS – Ever wondered what LinkedIn would look with the unvarnished truth?